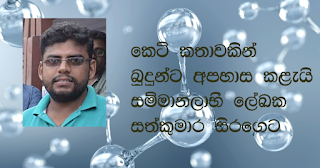 Assistant manageress commits suicide by jumping down from 9th floor of Nawaloke hospital! 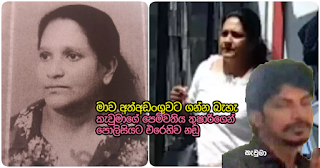 An incident is reported of an assistant manageress who has committed suicide day before yesterday (11) by throwing herself down from the 9th floor of Colombo Nawaloka Hospital. She is 35 year old Karunya Singaravel. She was employed at human resource department, it is reported. 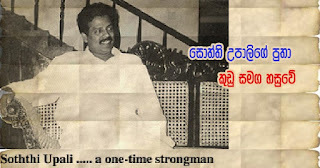 Well-known musician Mr. H.M. Jayawardena passed away today (8). He had been in an ailing condition for some time and warded at Kalubowila hospital under treatment and died today after reaching his 69th year. 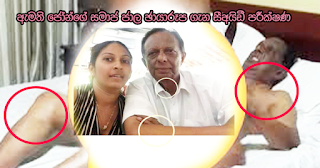 Lasantha Wickramatunga's daughter Ahimsa ... files legal action against Gota in America! Ahimsa Wickramatunga, daughter of journalist Lasantha Wickramatunga who was killed has filed a civil case in America against former secretary of defence, Mr. Gotabhaya Rajapaksa.This case has been filed claiming compensation from Mr. Gotabhaya Rajapaksa for being responsible for the murder of her father. 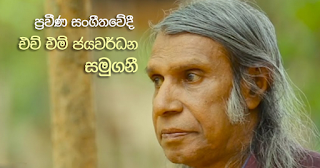 An artiste by the name of Iraj Weeraratna created a fantastic music video sometime back and he is presently involved in making videos which have no substance in songs which are simply added with a mixture of words which are compatible with the motive of going hand in hand with the philosophy of his mind and which incidentally will lure a bigger crowd of viewers of YouTube. 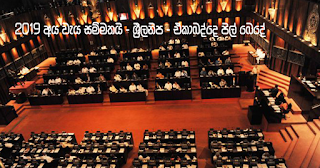 A further explanation was made by President Maithripala Sirisena regarding the statement he made previously referring that he will be withdrawing grade five scholarship. What Ryan revealed to police for 18 hours yesterday when questioned about Madush -- Ryan betrays Amal! After actor Ryan van Royan and four others who were taken into custody in Dubai with underground leader Makandure Madush having been deported from the country were arrested by police after they set foot in the island early last morning. 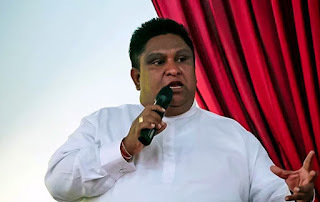 Subsequent to a complaint to the effect that articles were published in facebook in a manner defaming the Buddha, development officer, Mr. Shakthika Sathkumara of Polgahawela provincial secretariat was taken into custody by Polgahawela police and Polgahawela magistrate Mrs. Nelum Priyadarshani issued orders day before yesterday (1) that he be send to remand till next 9th. 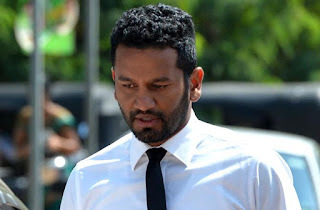 The suspect development officer was taken into custody by police and produced before court on a complaint lodged by theros Deldeniye Rathnasara, Daluhengedera Medhankara, Pallewela Rathnsara and Udugama Pemananda. Student who quit sarasaviya because of ragging ... enrols with NDT and because of ragging there also ... commits suicide! 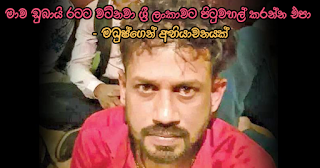 News is reported from Kurunegala of a student who quit sarasaviya because of ragging and subsequently after enrolling for another curse of studies, in which instance too he has faced similar experiences as before. 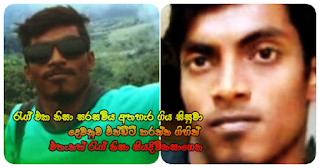 Thus he has written a letter saying, "I was subjected to severe mental pressure"; so writing he has committed suicide. 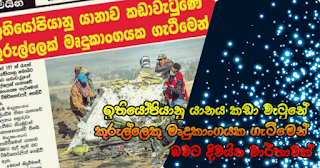 It is a young boy by the name of Sanuka Dilshan Wijeysingha, a 23 year old student from Kumbukgete area in Kurunegala following studies at National Diploma in Technology who has faced this unfortunate destiny. He incidentally was the eldest in a family of two children and the only boy.